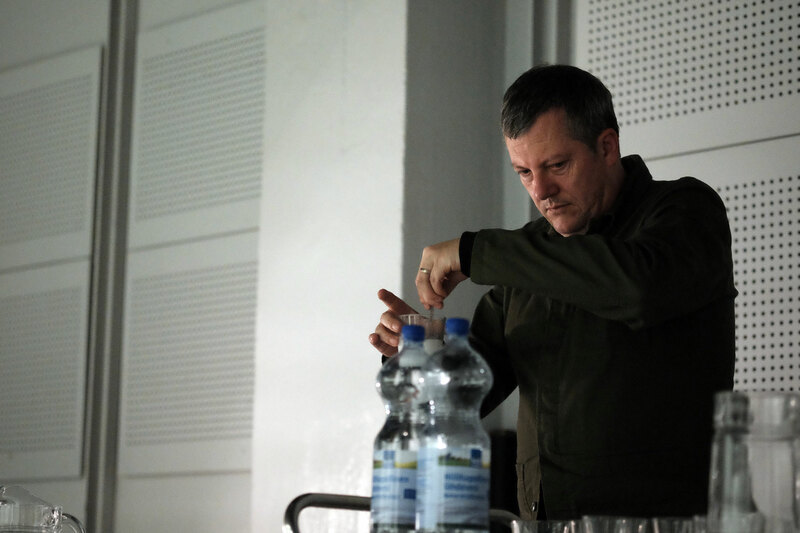 Fixed Air for Two Senses presents an exploration of carbonation in physical and sonic forms. 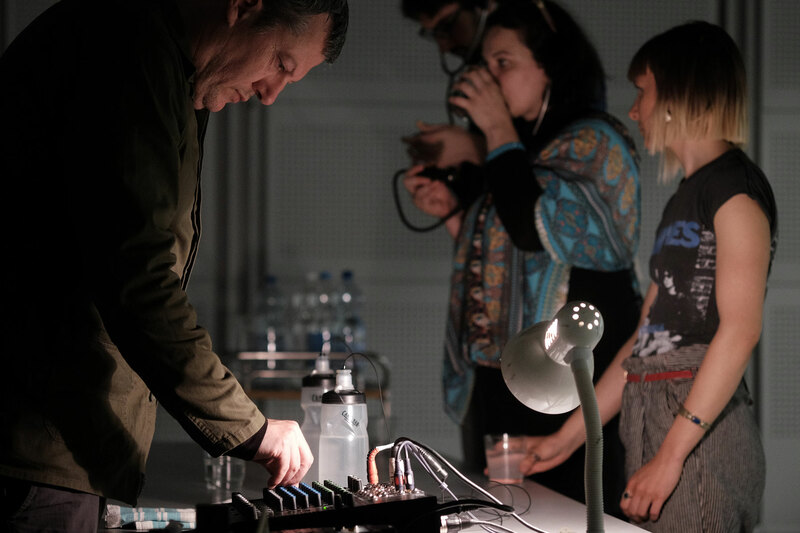 It explores carbonation via the 19th century practice of Hydropathy by creating bespoke mineralised waters for aural and oral consumption by the audience. Hydropathy, invented around 1818 by Vincenz Priessnitz, practiced a three-fold therapeutic application of cold water to the interior and exterior of the body: drinking mineralised water, the wet sheet pack and douches; a variety of showers and baths. Activities that are now second nature to us yet were ridiculed by the medical establishment of the day. "In water's "freshness, there is a certain spirit, which... in mineral waters, and also in springs and wells may be called Brunnen Geist. Its cold temperature, and the fixed air or carbonic acid, which is therein found …furnishes us each time with new vivifying matter." The drinking performance consists of the creation of three bespoke mineral waters and their consumption by the audience. Both the nature of fixed air and its hydropathic benefits is expounded upon during the imbibing. The first water uses the composition of the nearest mineral spring water and the last from Karlovy Vary, near the first hydropathic establishment in Silesia. These are bridged by an arbitrarily selected source halfway between the two sites. At Lapsody 2017 in Helsinki, the waters created were Hartwall (FI), Vytautas (LI), Biruté(LI) and Hanácká Kyselka (CZ) using a base water sourced from Lake Päijänne. The live sound performance abstracts physical movements taking place in the body during peristalsis using the same carbonated waters as those consumed by the audience. Those undergoing hydropathic treatment were often shampooed (massaged) after consuming carbonated minerals. Emulating muscular activity occuring in the audience body, the soundwork exemplifies bubble acoustics through manipulation of the CO² decomposition rate through heat, pressure and other means. 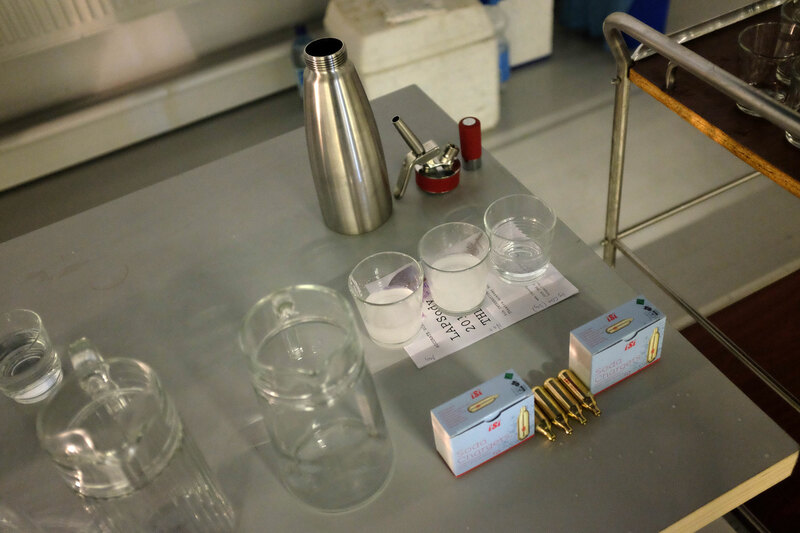 The audience imbibe carbonated waters during the performance and two sensor-based stethoscopes will also be available for those who wish to auscultate fixed air passing through their own system or those of others. Thanks to Petros Konnaris, Antonin Brinda, Antti Ahonen, & the Theatre Academy, Helsinki.